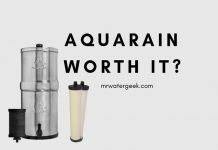 Is Aquasana Rhino EQ-1000 A RIP OFF? Must Read Before You Buy. 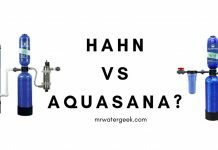 Home Water Filters Aquasana Water Reviews Is Aquasana Rhino EQ-1000 A RIP OFF? Must Read Before You Buy. This review is for the Aquasana Rhino EQ-1000 that comes with a pro install kit. It is a water filter for the whole house, which is installed at the entry point of the water supply of the house. Unlike POU (point-of-use) systems, which are generally designed for installation at a specific outlet (faucet or under the sink), this system cleans the water at each exit point of the house. This means bathing, drinking and cooking clean water for the family. This can bring about all sorts of health benefits, better tasting food and make your skin and hair feel better. This model specializes in removing chlorine from your water supply. 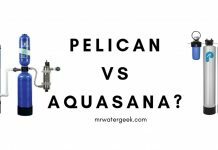 Aquasana says that it can remove more than 97% chlorine from water. 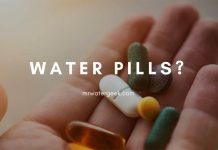 It is also able to reduce other harmful pollutants such as heavy metals (such as lead and mercury), organic chemicals (pesticides, herbicides and volatile organic compounds) and industrial solvents. Aquasana Rhino: What’s In The Box and What You Can Expect? 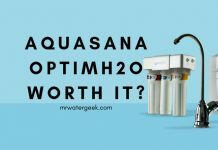 Is Aquasana Rhino EQ-1000 A RIP OFF? The system has a guaranteed lifetime of 10 years or 1,000,000 (1 million) gallons. PLEASE NOTE: the 10-year warranty applies only if the system is installed by a professional installer. This is the best guarantee that I’ve found in all of my whole house filter reviews. And it’s the kind of consumer protection you’d expect for something that costs this much. At the end of its useful life, a replacement tank can be purchased for approximately 3/4 of the total system cost. 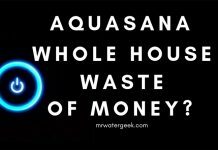 Aquasana also offers a 90-day money-back guarantee if you are not satisfied with your purchase. Brass accessory that is easier to install and maintain. Post filter to remove other contaminants such as cysts and organic particles. Shut-off valves and brackets facilitate filter replacement. 20 “filter, twice the size of the standard filter, resulting in twice the life. Other materials and equipment are available for a surcharge. 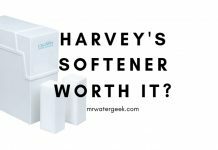 These include a water softener without salt and a UV sterilization kit. Longer lasting filters cost less money in the long term and mean less maintenance. The professional kit is a useful addition. 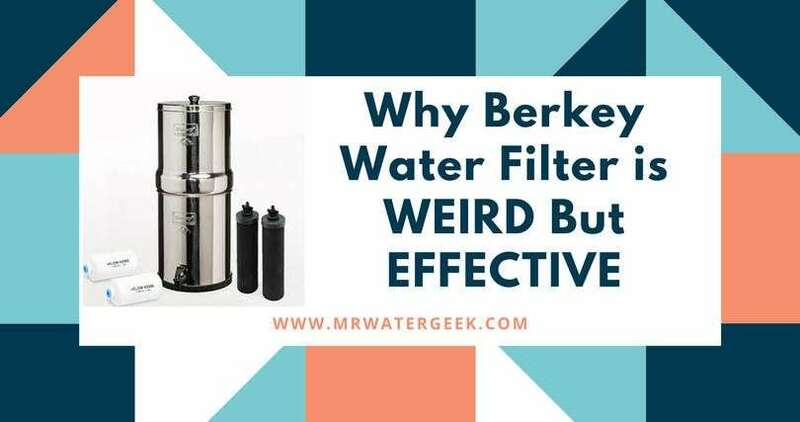 A subsequent filter refines the filtration process even more and gives cleaner water. Brass fittings and shut-off valves improve the user experience and make maintenance even easier. 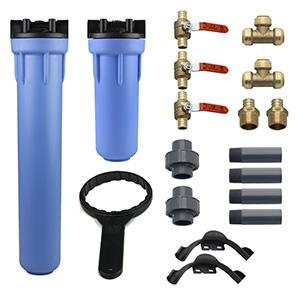 The professional set is not essential for city water supply, but I would recommend it for those who have their own well water supply. 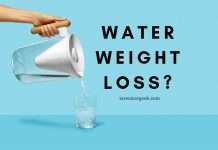 Well water is normally not chlorinated, which makes it more susceptible to bacteria, cysts and other organic substances. 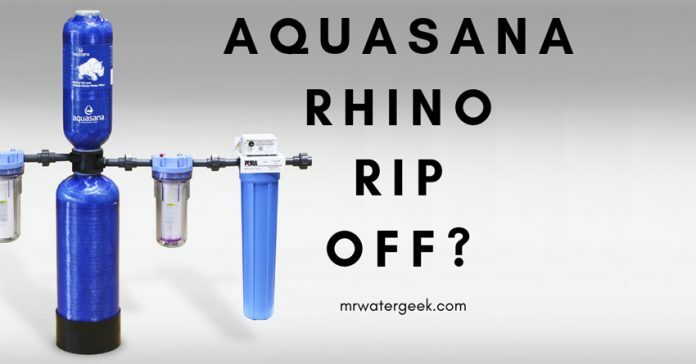 In fact, Aquasana offers the Rhino in different versions for every type of water problem. The regular system of chlorine is perfect for the water supply of the city. 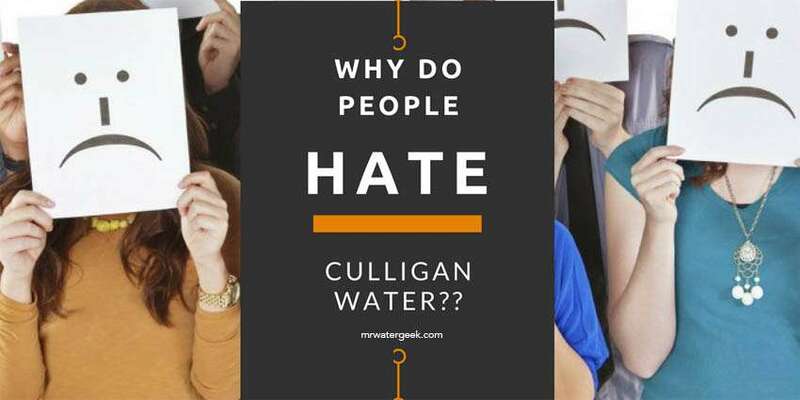 There is also a model that specializes in harmful chloramine and also treats well water better. If you get water services from the city but the price of the 10-year system discourages you, there is also an alternative. There is a cheaper model with a capacity of 600,000 gallons, which costs about a fraction of the price. 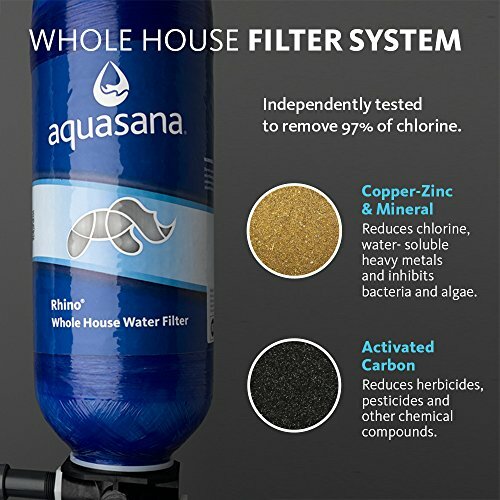 This system is really effective in removing chlorine from the home water supply. Cost: $$$$$ (check latest prices here). Filter Lifespan: Post Filter = 12 months, Pre-Filter = 3 months. Unit Lifespan: 10 years or 1,000,000 gallons. Water Flow Rate: 7 gallons per minute. Dimensions: 9 x 46 x 44 inches. Warranty: 10 years as well as a 90-day money back guarantee. STAGE ONE: This stage involves a 5 micron pre-filter that will remove particles like dust, sediments and even microscopic particles. The stage 1 filter also removes larger particles and protects the main carbon tank (that happens in the next stage) from damage and clogging. STAGE TWO: A tank containing a mixture of copper-zinc oxidation media and minced minerals. 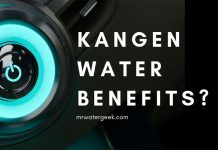 This removes over 97% of chlorine and ensures that the pH is slightly alkaline. 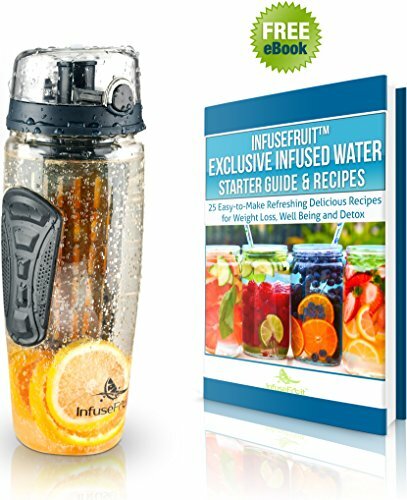 Drinking alkaline water is seen as being better for our body because it is an antioxidant. STAGE THREE: This involves a high quality carbon filter that further eliminates chlorine and other harmful contaminants. The carbon media that’s part of this stage is ideal for adsorbing chlorine from water. STAGE FOUR: A stage involving media 0.35 micron posterior filter that can remove microscopic cysts and organic particles. This filter is only available with the professional kit add on. 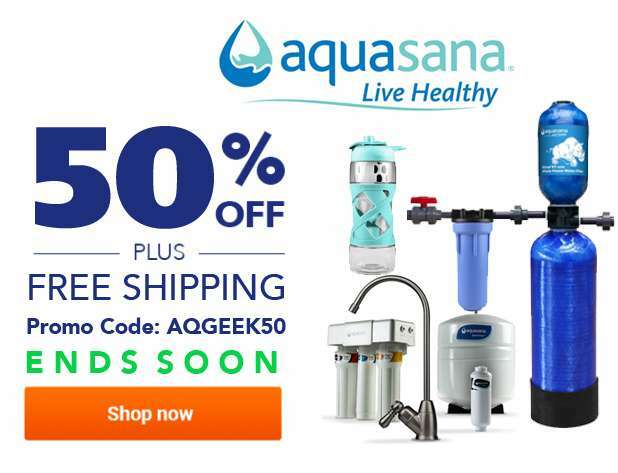 The Level 2 filter of this Aquasana water filter acts as an alkaline filter for some reverse osmosis systems. 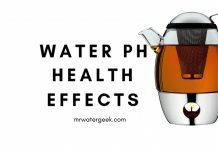 It ensures that the pH of the water is above 7. 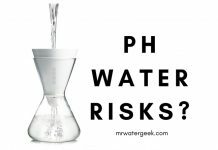 This means that the water is alkaline and healthier for our body than the low pH acidic water. The basic Rhino system without the professional kit has a filter size of 5 μm. This means that impurities less than 5 microns in size can pass and contaminate the water. However, the rear filter has a filter size of 0.35 μm. This makes a big difference in what is allowed and not allowed in the water supply of your home. Consider the size of the molds, insecticide dust, bacteria, car emissions and lead dust particles. The 0.35 micron rear filter is an important and necessary addition. To see how important it is, look at the table below. The table shows the sizes of water-polluting particles in the micrometer range. 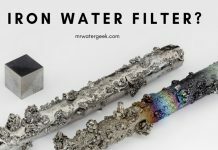 A filter of this pore size is really impressive and the best I have seen in water filter systems that serve the whole house. Cheap filters. 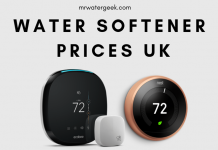 Aquasana water filters are relatively cheap and the extra cost of changing the after-filter every 3 months is definitely worth it. 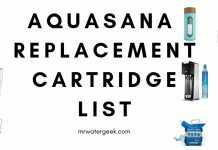 They are easily available on Amazon and on the Aquasana website. This water filter comes with an incredible range of optional upgrades and enhancements. You can include a water softener or even an ultraviolet light to kill the bacteria. 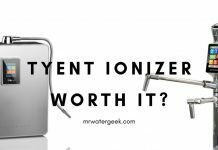 Getting a UV sterilization light would be particularly useful for those who are supplied with non-chlorinated well water. If using this as a water softener then know that it does not use salt. These types of filter machines are much better for the environment than those that use salt. They are great for protecting equipment from limescale. 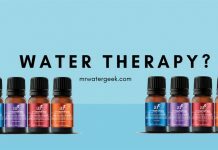 However, they are not as effective at softening water. 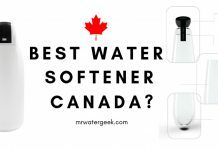 If you have very hard water, you should consider getting a softener machine. The integration of UV lamp and fabric softener components into the same system saves a lot of space and simplifies installation, as they are already connected in the most efficient way. To install, you must install the system in front of the water heater and near the main water inlet of your home. The system requires a clearance of 50 inches and a floor area of ​​at least 30 inches. It requires an operating water pressure between 20 and 100 psi. You can possibly do it yourself, but to benefit from the guarantee you must get a qualified plumber to install it for you. It is important to check the condition of the pre-filter in the first year of use. For this reason, the sediment values ​​can vary greatly from place to place and have different effects on the filter. In general, it is time to replace the filter when the white filter is completely covered or the water flow drops noticeably. If you observe this closely at the beginning, you can assess the filter life more accurately. However, the filter generally lasts for around 3 months. The rear filter is much more durable and should last 12 months. To ensure a quick filter change as soon as the water quality decreases, you can use a water quality meter. 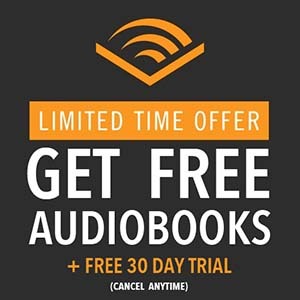 Also, you can get these at a relatively low cost (under $15). An outstanding feature of this system is that it does not need any backwashing. 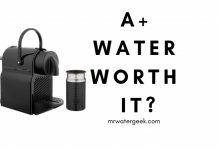 This is unlike other water filtration systems as you do not have to worry about flushing or cleaning the system. The only maintenance is the direct replacement of the filters. 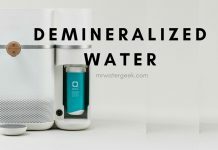 Cleans and filters ALL the water in the home. Must have professional installation to qualify for warranty and guarantee. Very effective at filtering levels. Expensive. 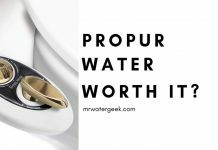 Keeps and maintains good water pressure. Generous 10 year warranty that is not common for whole house filters. Easy to change and maintain filters. Cheap filters when compared to other brands. 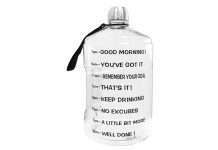 Comes from a trusted brand that has excellent customer services. On-going support with a 90 day warranty. The short answer is NO, it is a very good quality whole house filter with impressive features. As already mentioned, this system holds 10 years or 1,000,000 gallons. 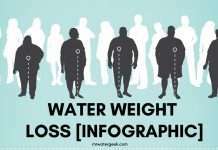 This is based on the average water consumption of a family of 4 people. If your family is larger or smaller, then you can expect a different level of useful life. Ask your plumber if you would like to add an additional water meter to the installation. 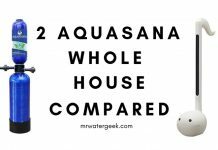 Aquasana Rhino is one of the most effective complete house units out there. Your 0.35 micron pre-filter is the most sophisticated I’ve seen in a complete household. 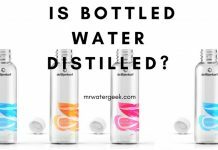 In addition, it meets NSF certification standards for reducing chlorine and has a very effective water filtration system. 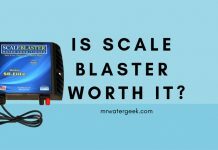 It is more expensive than most, but also offers more effective filtration than most. 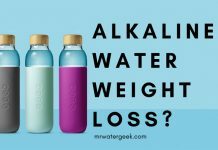 Previous articleBenefits of Alkaline Water Weight Loss – Here’s The TRUTH! 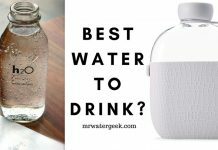 Next articleAre Coffee Machine Water Filters WORTH IT?